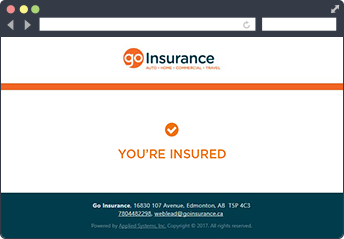 Getting insurance has never been easier! 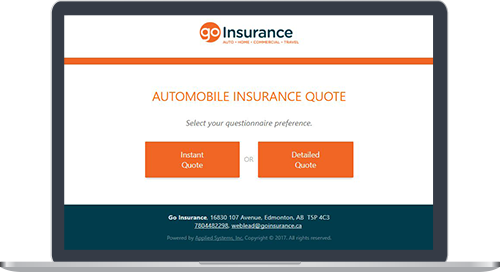 Competitive pricing isn’t a secret at Go Insurance. Our easy, online process gives you an instant detailed quote based on our flexible policy options. Your insurance should fit your life. 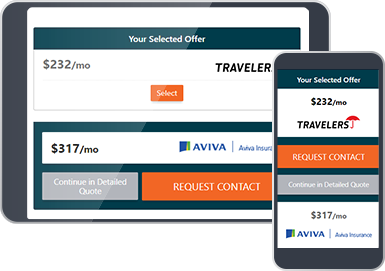 You choose your coverage, and you choose your price. We also have convenient payment plan options, so you pay how and when you want. You can expect competitive rates, flexible policy options, a happy-to-help staff, and the best customer service in the business. Our simple, online processing takes minutes to complete. You’ll be surprised at how effortless it is. If you need help or have questions, we’re always here for you – just get in touch!